Hello Beauties! I hope you're all well and enjoying your week! 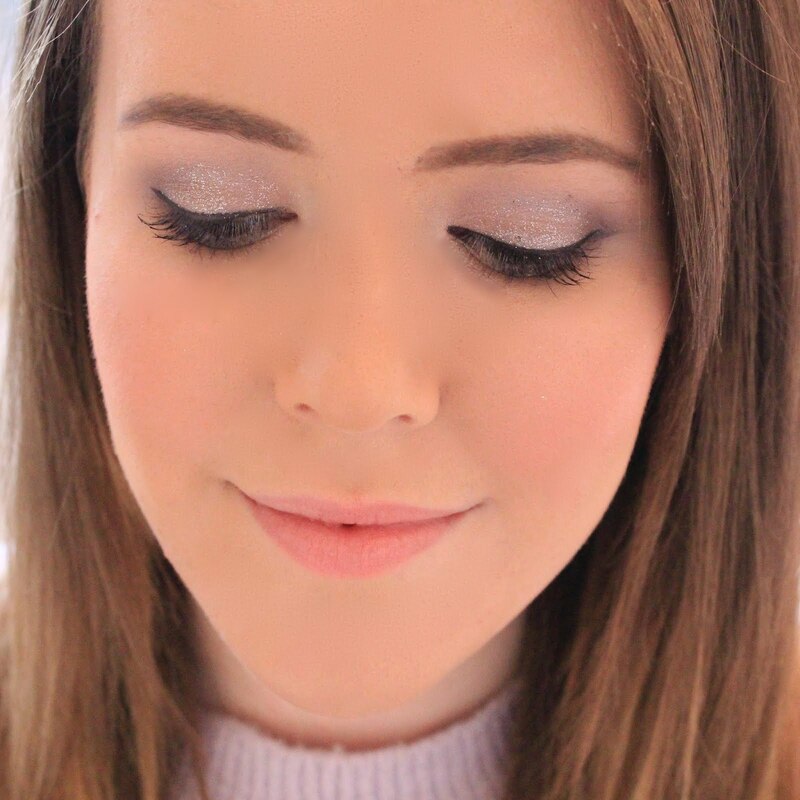 Nars Sheer Glow Foundation is a product thats been on my wish list for well over a year now. After reading loads of positive reviews of the foundation, I knew I needed to try it out for myself. Nars Sheer Glow Foundation is described as a 'glowing, natural radiant finish foundation with sheer and buildable coverage' which is suitable for normal to dry skin types. At first I was a little put off buying this foundation as I have typically oily skin with acne scarring which I like to be fully covered. However, after trying the foundation at my local Nars counter, I realised that this wasn't something I needed to be concerned about. 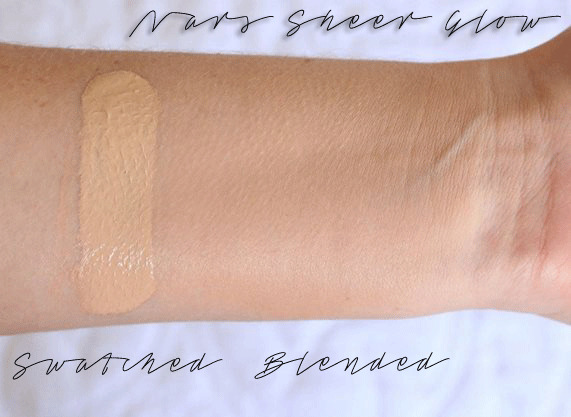 Nars Sheer Glow Foundation is a liquid foundation with a lovely silky texture, its a dream to apply and blends in effortlessly, making this perfect for any days when my skin isn't at its best. Although the name would suggest that this is a dewey foundation, I was surprised to find that it left me with more of a satin finish with only a slight glow. This was a pro for me as I do have oily skin and find that anything too dewey just slides straight off my skin. Instead, the slight glow looked perfectly natural and made me look like I'd had a good nights sleep. It also feels really light on your skin when you apply it, making it perfect for me and anyone else who hates the feeling of foundation on their skin. The foundation also contains no SPF making it perfect for any flash photography and nights out when everyone has their cameras out. However, if your looking for use this for an everyday foundation, then I would suggest investing in a decent SPF as you don't want your skin to suffer. With this in mind, this will definitely be my go to foundation for any events and nights out, as it photographs beautifully. I was matched to Mont Blanc which is 'Light 2' and is an extremely pale shade with pink undertones. The range also has one more shade, Siberia, which is slightly lighter than Mont Blanc, making the range perfect for any of my fellow pale skinned girls. Despite Nars claiming that this is a sheer foundation, I would say that this foundation has medium to full, buildable coverage. I have some quite bad acne scarring and a few pesky spots still grace my face, so I was a little concerned with the sheer claims, however, this foundation covered anything I needed it to in just one layer, and resulted in me using way less concealer than I normally would which is always a result! I have quite oily skin, so normally this foundation wouldn't be suggested to me, however I found that it lasted a couple of hours on my skin which is similar to most foundations for me (even ones targeted at oily skin). I always need to powder my face throughout the day, so having to powder when I wear this foundation isn't really a complaint for me, as it's just something I've come to expect. Overall, I love this foundation. It applies perfectly to my skin and has the most beautiful finish, it's everything I expected from the foundation and more. If your looking for a lovely, lightweight foundation that offers amazing coverage and a lovely finish, I'd really recommend this foundation. I know its pricey at £31 a pop, but it really is worth it for the finish you achieve. My only complaint is that for the price, it doesn't come with a pump. When drugstore brands can offer a pump for a third of the price, I really think that Nars should offer a pump with their foundations. Have you tried Nars Sheer Glow Foundation? I'd love to know what you thought of it! I NEEEEED this foundation in my life! I really love your photography, it's always so on point! I've got a sample of this which I can't wait to try, I've heard so many good things! This is my number one, holy grail foundation - nothing covers, perfects or sits on my skin like this does. I also use Mont Blanc :) have been through a good few bottles, and that commitment says a lot for me! Recommend for those who want good blendable but buildable coverage. This foundation sounds so, so amazing! I bought this foundation (in the same shade, actually) recently and absolutely adore it! It makes my skin look perfect: who can ask for more? This is probably my favorite foundation! The finish and the feel of it are just exactly what I want out of a foundation. I currently have Santa Fe which I was matched with in the spring and although it still manages to work, I'm definitely on the paler end of the spectrum now....Mont Blanc may be my next one.